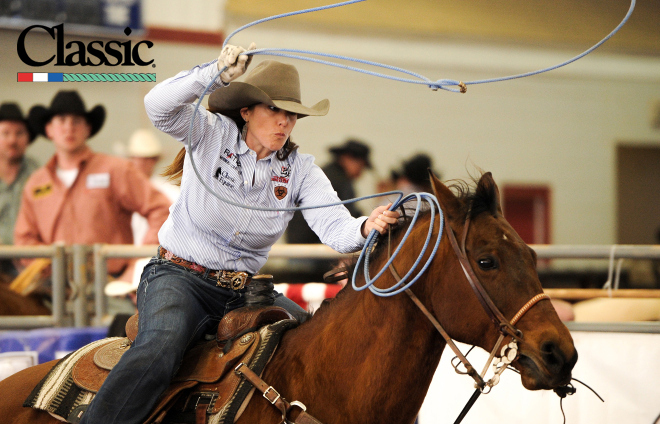 13X WPRA World Champion and this month’s Women’s Pro Rodeo News cover girl Jackie Hobbs-Crawford has always been known for her second to none roping and horsemanship skills. After yesterday, she can now add to her resume as the second female team roper to ever compete in the prestigious California Rodeo Salinas. With a five head average format and only having one box to come out of, Jackie set the bar high for her PRCA debut. Roping with Tie Down Roping NFR Qualifier Marty Yates, the team turned in an 8.6 but unfortunately broke the barrier. Despite the penalty Jackie had this to say about her run in an Instagram post. Jackie’s husband and 8X NFR Team Roping Qualifier Charly Crawford is also competing adding a special comradery to the experience. We will follow Jackie and Marty over the next couple weeks as their next stop on the rodeo trail is the “Daddy of ‘Em All”, the Cheyenne Frontier Days. Until next time we leave you with this quote.